Keith George has been inspired by the people aspect of real estate since childhood. His mother raised three children in the triplex she proudly owned, and Keith witnessed firsthand her caring, attentive approach as she acted as mom and landlord, in addition to her full-time job. Rents were reasonable, which created a very loyal community of tenants, and his mother's entrepreneurial endeavors soon extended to acquiring the corner market as well. "My mother showed me what it means to be a person who truly cares for others while also taking care of your own responsibilities," he says. As a skilled real estate professional, Keith embodies that same people-focused attitude. He's personable and empathetic, but also direct and determined. Clients praise Keith's professionalism, know-how and his willingness to give generously of his time and effort. 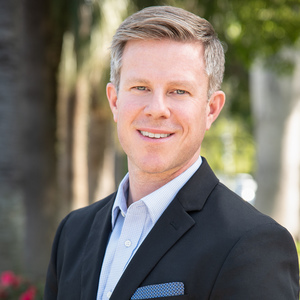 A proud member of the Morgan Pasco Group, whether he's working with skilled investors or first-timers, Keith knows how much home ownership can change lives. Keith's free time is devoted to exercise, sports and his two daughters. He runs, swims, plays volleyball, and maintains a regular yoga practice. He coaches his girls' basketball teams, and the trio can often be enjoying time at the beach.